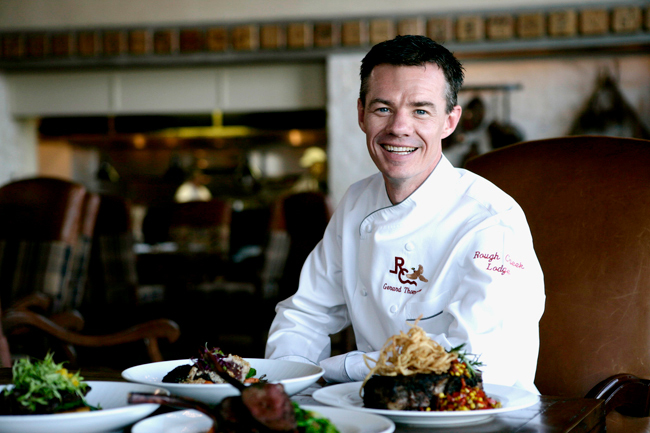 Dining at Rough Creek Lodge is known for blending unmatched service with Chef Gerard Thompson’s modern interpretation of rustic American cuisine. No detail is spared, down to the last (and best) bite. Imaginative menus featuring the absolute best ingredients are created daily. Tomatoes grown specifically for Rough Creek, locally grown organic micro-greens, and specialty products like fresh grits from a small Alabama mill all reflect Gerard’s detail-driven style. He’s received superlative reviews nationally by the Zagat Survey, Bon Appétit, Gourmet, and Food & Wine, and recently was awarded a perfect score from the North American Restaurant Association.